The support on this page is rapidly evolving; the actual code might be ahead or behind the documentation on any given day. JMRI provides support for general JMRI Sensors and Turnouts in terms of OpenLCB "events". The system letter for OpenLCB connections is "M". OpenLCB event and object names are introduced below, with additional details and formats on a separate page. JMRI associates OpenLCB Events with individual JMRI objects (Sensors, Turnouts, etc.) via the JMRI System Names. A System Name like "MS1.2.3.4.5.6.7.8;1.2.3.4.5.6.7.9" defines a Sensor that follows the "1.2.3.4.5.6.7.8" and "1.2.3.4.5.6.7.9" OpenLCB Events to change state. Another format for Event ID's is a continuous hexadecimal string, such as "x0102030405060709". These System Names can get very long, in which case the "User Names" become much more useful. 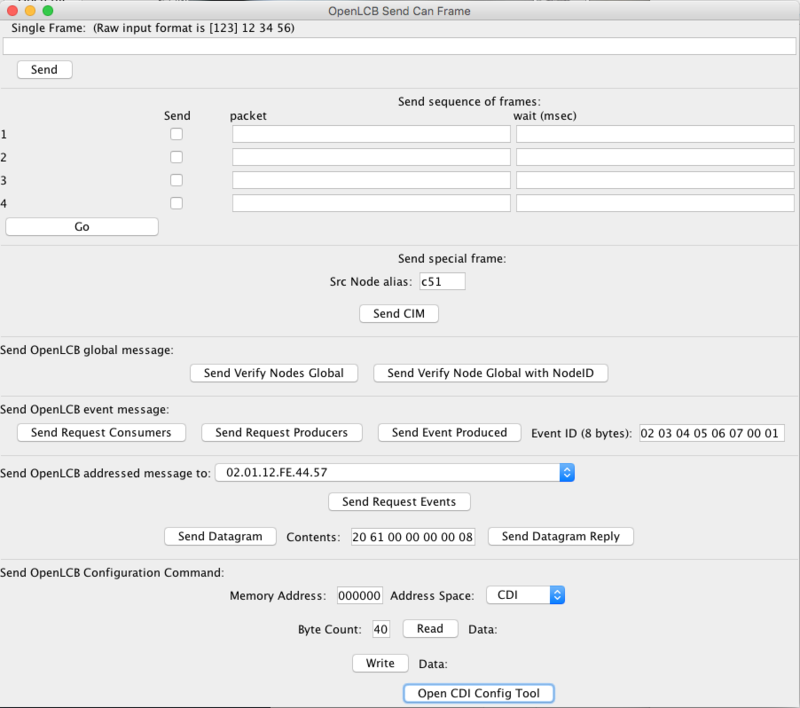 OpenLCB messages coming into JMRI applications can be accessed via JMRI Sensor objects. 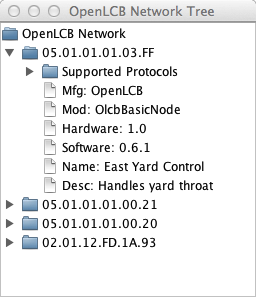 The Sensor's System Name determines which OpenLCB Events it corresponds to. 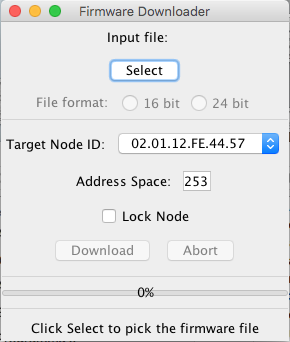 The Event numbers are essentially arbitrary, and are defined by the OpenLCB Nodes that send them. Because Events are not intrinsically associated with specific hardware objects, and because people can use Event ID's in many ways, the specific Event ID's for a Sensor must be supplied. You create Sensors using the Add... button on the Sensor Table. If you supply two event ID's, the first will set the Sensor ACTIVE and the second will set it INACTIVE. If you provide just one, it will set the Sensor ACTIVE, and it will automatically reset itself to INACTIVE shortly after. This can be used for events that indicate momentary things on the layout like "it's noon". The scheme for Turnouts is similar to Sensors above, except JMRI is emitting the OpenLCB frames instead of receiving them, and the type letter is "T" instead of "S", e.g. "MT1.2.3.4.5.6.7.8;1.2.3.4.5.6.7.9". OpenLCB connections can use many of the usual forms of SignalHeads and SignalMasts that are based on Turnouts. In addition, there's an OpenLCB-specific form of SignalMast that uses Events to change from one aspect to another. OpenLCB connection options are on a separate page.